Agriculture today is both a science and a business. Lamar Community College can help you stay ahead of the curve in this ever-changing and versatile industry. In LCC’s agriculture programs, you’ll gain the knowledge and skills necessary to be successful when feeding and clothing generations to come. LCC’s programs are challenging and rewarding experiences that allow students to earn a degree or certificate in a variety of fields within agriculture. Additionally, since LCC is located in an agricultural community, our program gives you the hands-on science and business skills you need to transfer to a four-year university or go directly into the industry. This plan of study prepares students who are considering transferring into four-year programs within Agricultural Business, Agricultural Education, Agricultural Extension, Agronomy, Animal Science, Equine Science, Farm and Ranch Management, Pre-vet, and Agricultural Communications. By the end of the program students should be able to communicate effectively on agricultural and natural resource concepts, relate business concepts to agriculture, and demonstrate an awareness for issues related to the agricultural sector, natural resource policies, and rural community development. This degree is designed for the student whose career goals include direct involvement in production agriculture or agribusiness as owner, operator, working manager, or partner. Students acquire skills and knowledge needed to be successful in the agriculture industry, including an ability to communicate effectively on agricultural concepts, relate business and management concepts to agriculture, and demonstrate an awareness of issues related to the agricultural sector. Students further define their focus through internships. 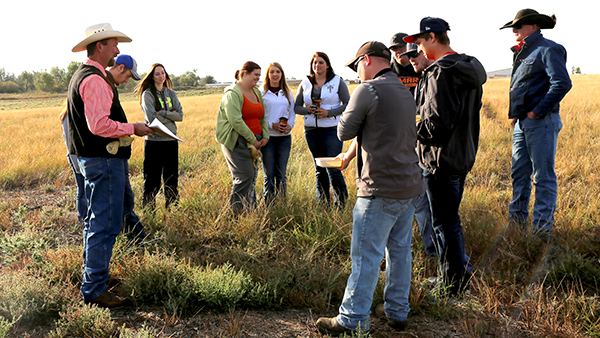 This one-year certificate allows students to focus solely on agriculture studies. It introduces students to the basics of animal science, agronomy, and ag business. This one-year certificate allows students to focus on gaining the skills needed for an entry level position working in the veterinary science field. The cost may vary from semester to semester.